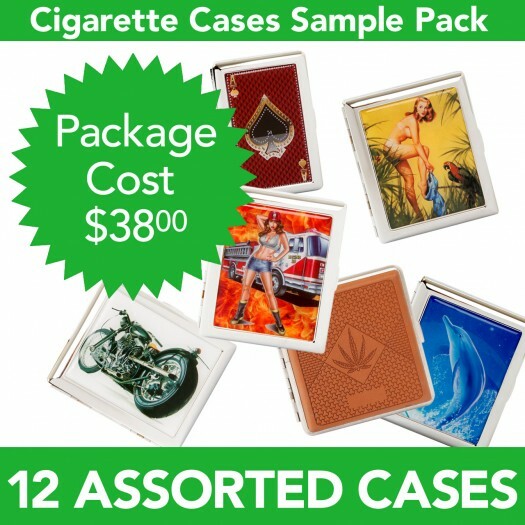 Practical And Stylish Wholesale Cigarette Cases - CTS Wholesale LLC. There are accessories for everything on the market today and those who smoke like to have a convenient and stylish way of carrying their cigarettes. Wholesale cigarette cases have been around for so many years that there is now quite a huge selection to choose from. 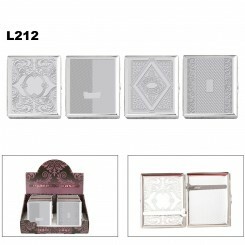 The following is a quick overview of some of the cigarette cases that are both elegant and affordable. The silver cigarette case is one of the more recognizable. Apart from the different inlaid designs on the covers these cases are known for they have two basic operating features. Hinged metal cases are the ones that are most popular with men since they are thin and can fit in a pocket, but are strong enough to protect your cigarettes. Silver mesh cases close with a gentle snap and are quite often padded and soft to the touch. Although both types are suitable for either of the sexes, the latter mesh types are the ones more often preferred by women. The covers of these cases offer a wide variety as well. People buying the hard covered designs can get a variety of engraving or artwork done. They can also have other features added to the cover like logos for favourite sports teams. Cases with a leather cover are also available and there are even polished chrome models with lighters attached and clocks in some cases. Of course, there are many aesthetic qualities to sort through to find the right cigarette case, but there are a few practical considerations to make sure you get the case that suits your needs. Take into account both the size of the cigarette you'll be smoking as well as the volume that can fit in the case.